A woman from Zhuhai, south China's Guangdong Province, drove a new car onto a beach and became stuck. Her husband's car soon suffered the same fate when he tried to pull her out. 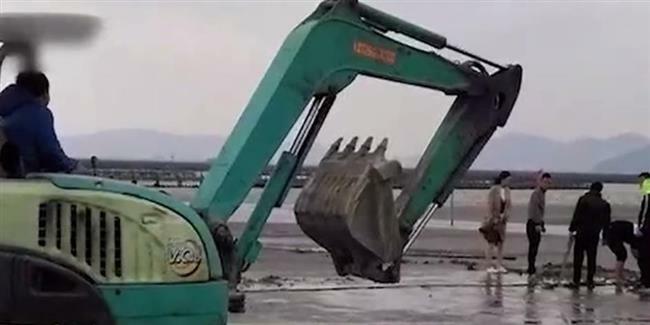 A woman from Zhuhai, south China’s Guangdong Province, drove a new car onto the beach and got stuck on December 16. The front wheels of the car became stuck in the sand, forcing her husband, who was driving another car, to attempt pulling the new car free using a rope. He ultimately failed and became stuck as well. Police soon arrived with a mechanical digger they found nearby after receiving a call about the incident, ultimately pulling the two cars out successfully. The cars were sent to a repair shop for maintenance.